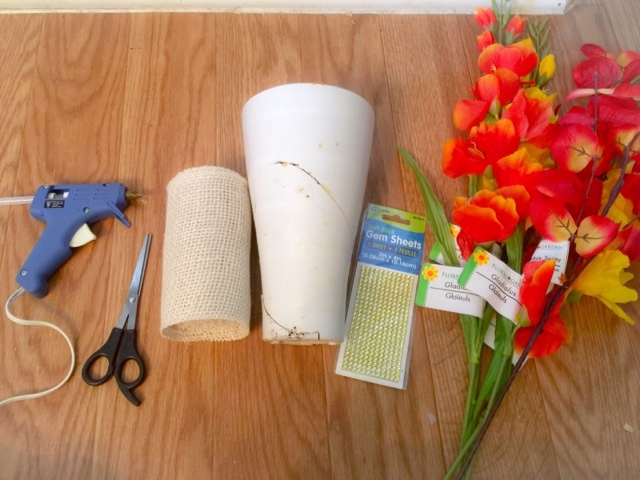 Ever wonder what to do with a broken flower pot? My outdoor flower pot accidentally got broken one time and I was not happy about it. 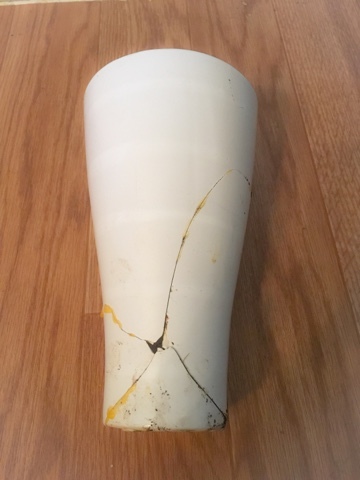 Instead of throwing it away, I decided to glue the pieces together and turned it into a vase. Good thing the broken pieces are salvageable. Obviously, the result does not look appealing. 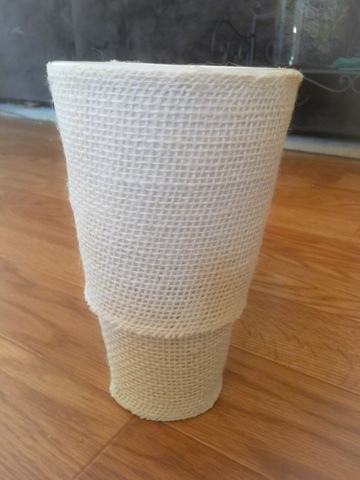 So what I did was purchased some materials at the Dollar Tree for my DIY project. I bought artificial flowers, gem sheets, and a roll of burlap. 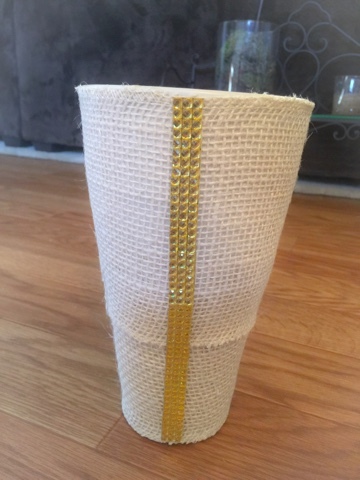 Cover the vase with burlap using the electric glue. Then add the gems either horizontally or vertically...which ever you prefer. 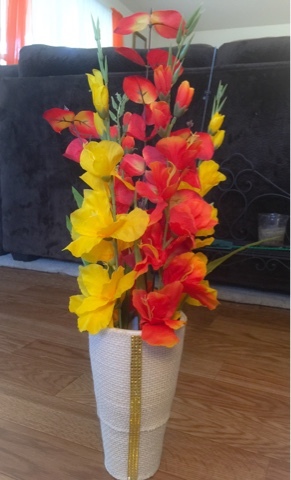 Finish the project by adding the artificial flowers.